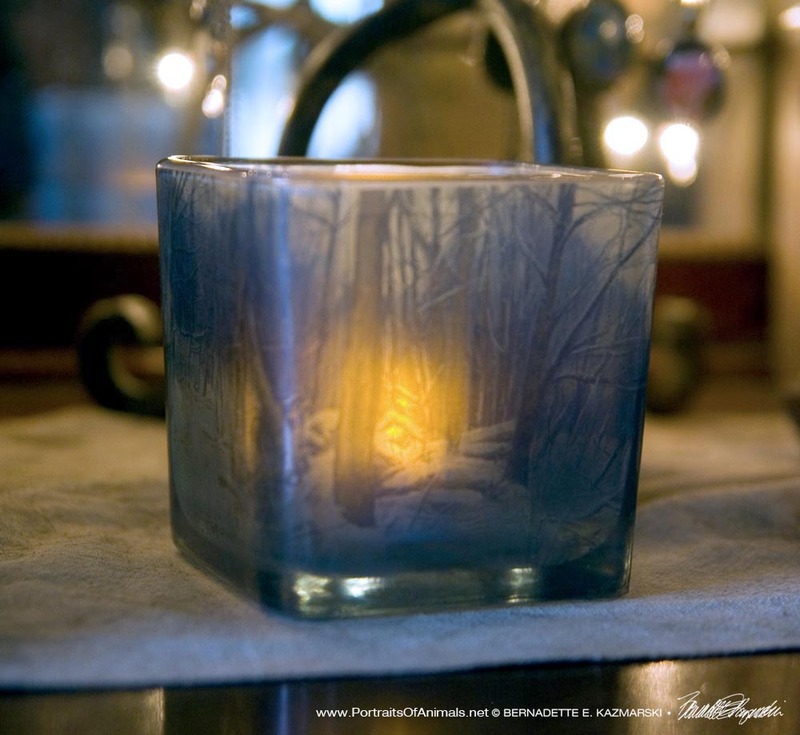 This glass votive is etched by hand and finished with a clear label I printed from my artwork “Dusk in the Woods”. 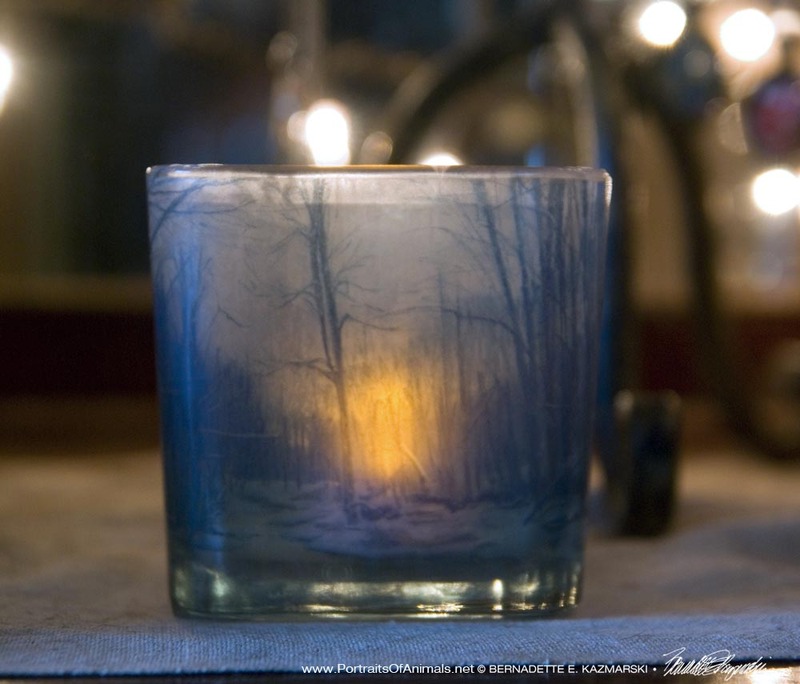 It’s made from a purchased cube-shaped glass vase 3.25″ in each dimension and comes with an LED tea light. Price includes shipping. Above is the angle from one of the sides, below is the front of the votive. 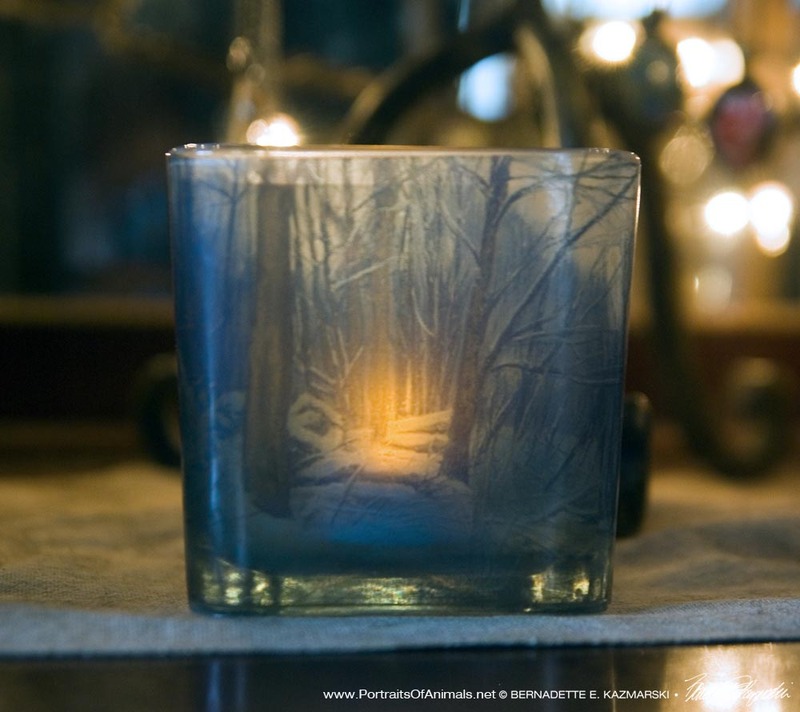 Dusk in the Woods votive, front. And below is the other side of the votive. 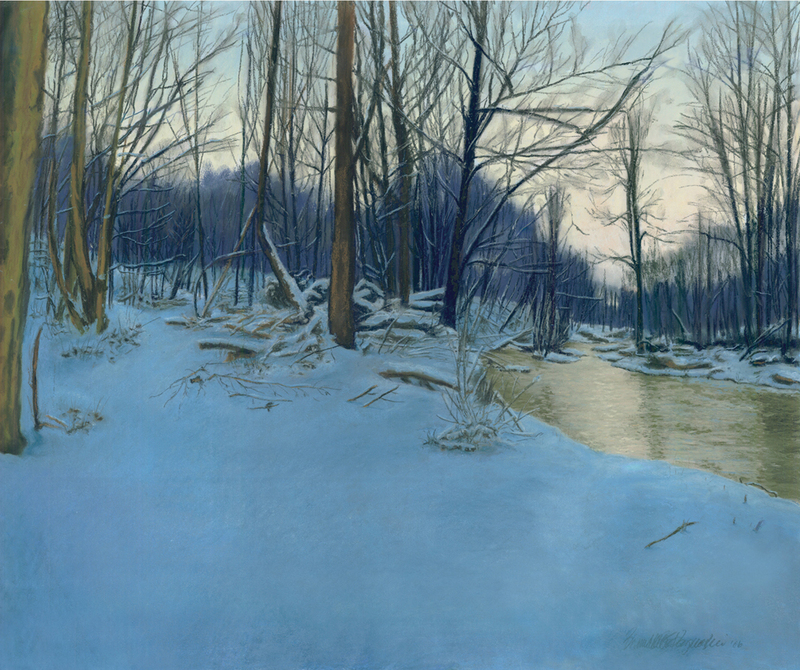 In this portion of the painting the sun is actually setting over the stream and the candle lines up perfectly with that spot. Dusk in the Woods votive, side. This entry was posted on November 16, 2018 by Bernadette.